Please observe it in some way that increases, however slightly, the odds that at least one woman in your life has a better chance of surviving breast cancer should that fate befall her. Knowledge is power. 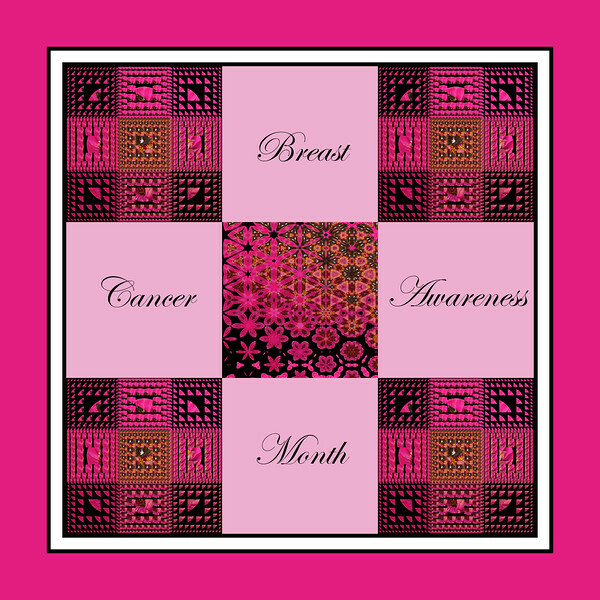 Dedicated to all the women in my own life who have fought the fight. Very beautiful collage and perfect for this month! You do such an amazing job on these collages--very different from the type of things that I do--I love the differences. Great tribute for awareness. What a beautiful collage, and its so perfect for the awareness. Well done! What a lovely creation to draw attention to Breast Cancer Awareness! Outstanding work Elizabeth, surely catches the eye & gets the very important message across!